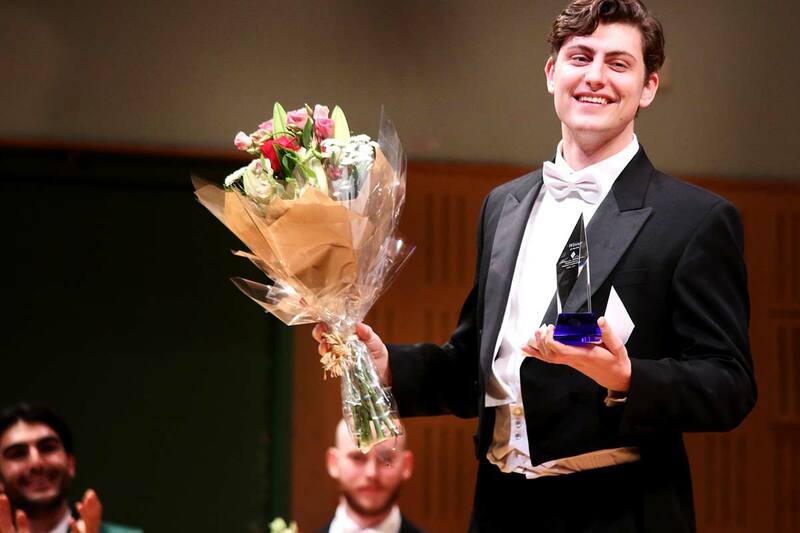 This international singing competition is a triennial event based in Dublin, Ireland, that was founded in 1995. 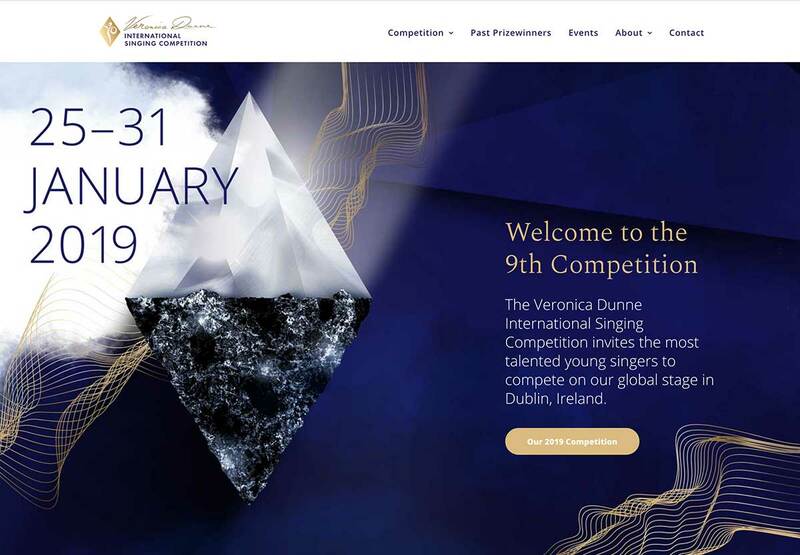 We were responsible for a complete rebrand and new website design for the 2019 competition, along with creating the event materials and photographing the live Final at the National Concert Hall, Dublin. 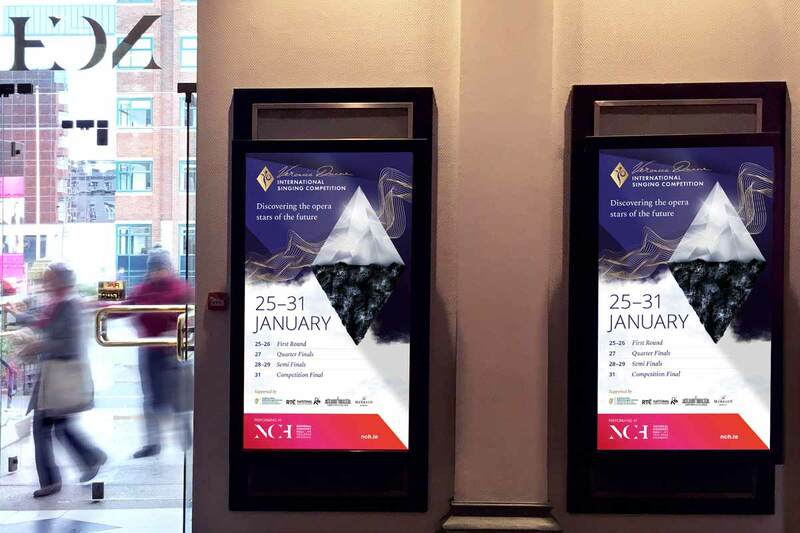 The brand design needed to look aspirational and applying to potential competitors, whilst also reflecting the quality and high standards of this prestigious event. 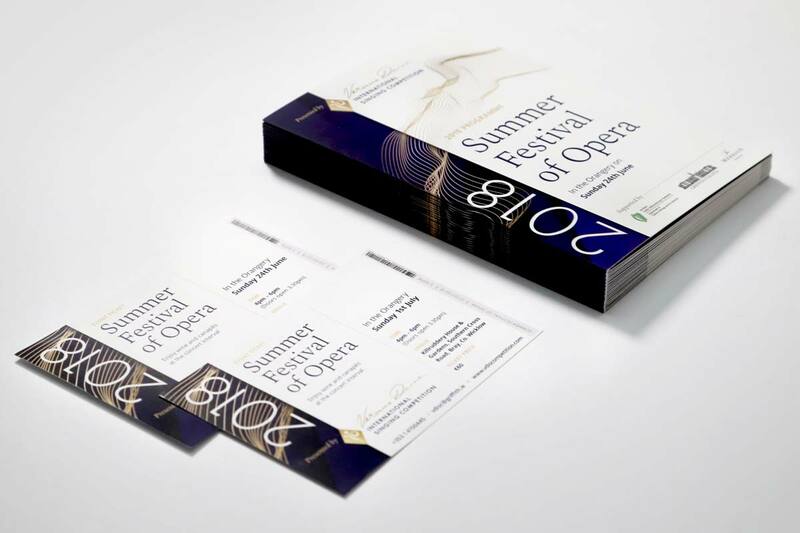 With many different audiences to communicate to – young singers, supporters, ticket buyers – clarity in messaging was key. We designed a brand identity that revolves around Veronica Dunne, the founder of the competition. 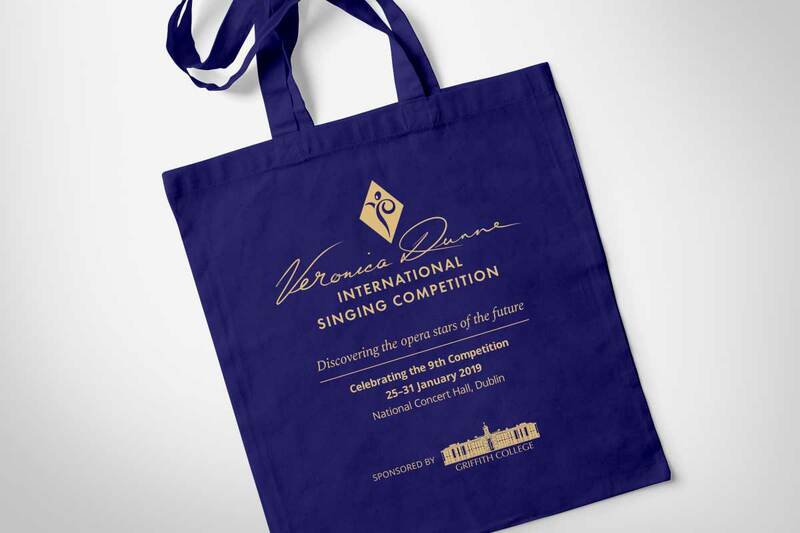 Veronica’s signature features in the logo design, adding a personal touch, paired with the long-standing singing icon that had a historical connection with the competition. We also feature Veronica’s voice within the design by using soundwave technology to map voice patterns. 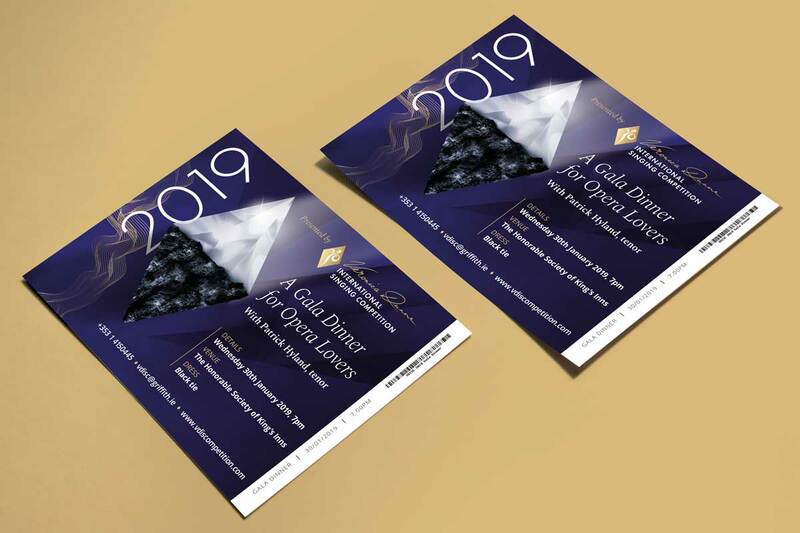 We then translated these into visual graphics that form the gold waves throughout the design. 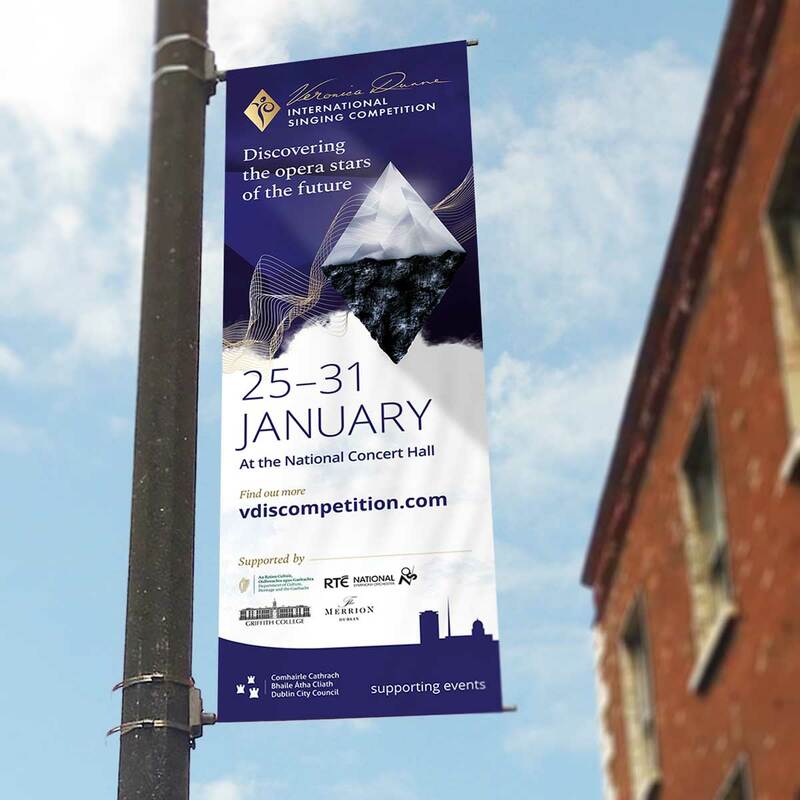 Other components of our brand toolkit include a large “diamond in the rough” graphic that represents the quality of the competition and the transformative process for the competitor’s careers. To bring our brand assets together, we use an outline of Dublin city to crop and shape the textured blue background to help with layout design. Our brand toolkit allows the overall brand design to work flexibly across formats and help maintain a consistent style. Our process of designing and developing the new website, began with several stages of wireframing, user journeys and simplifying the user experience in order to maximise results during the application process. 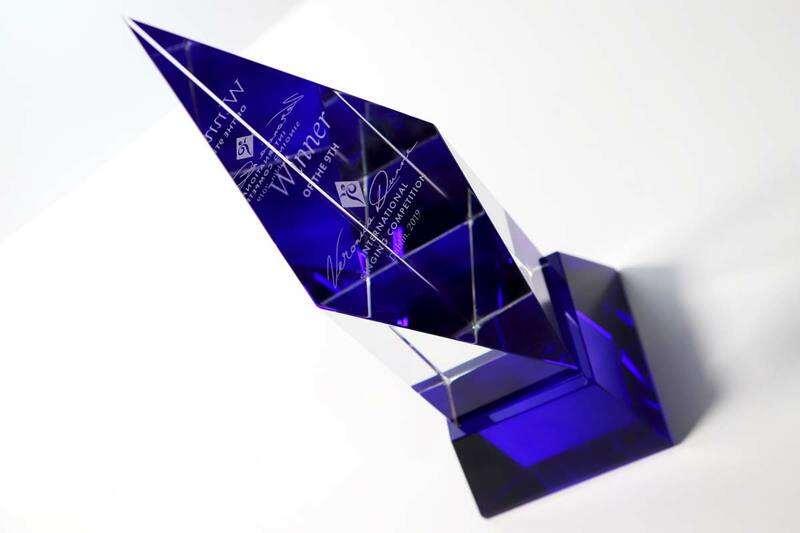 The 2019 competition received an all time high number of online applications, with competitors entering from 35 different countries around the world. We also helped increase social media traffic by over 50% in the lead up, during and after the competition week.